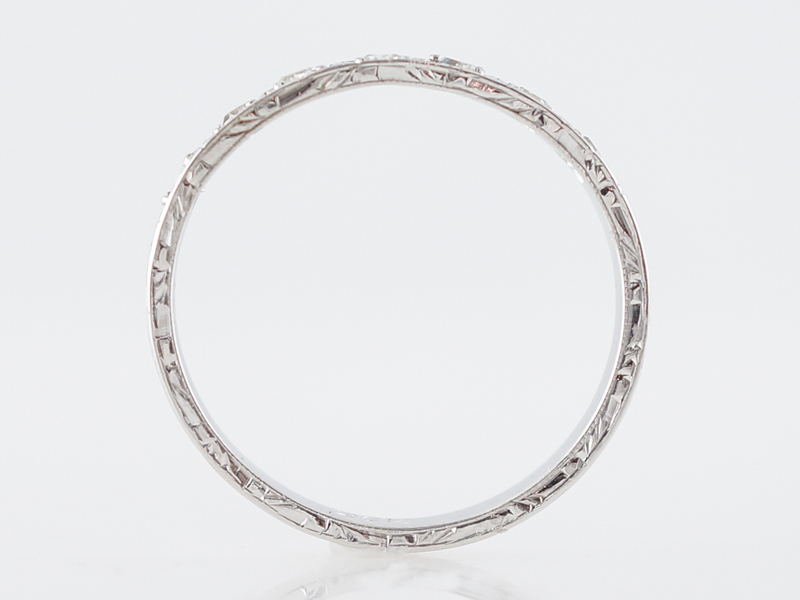 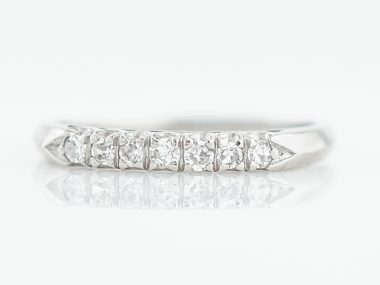 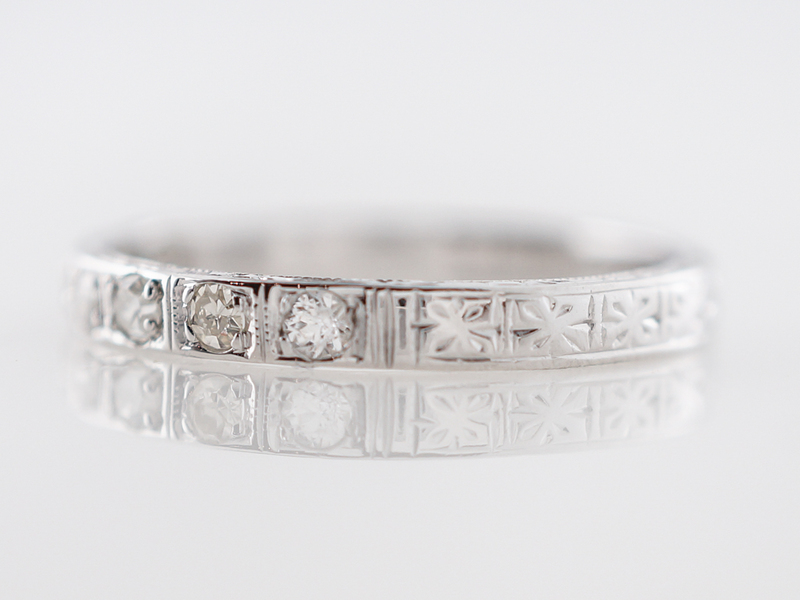 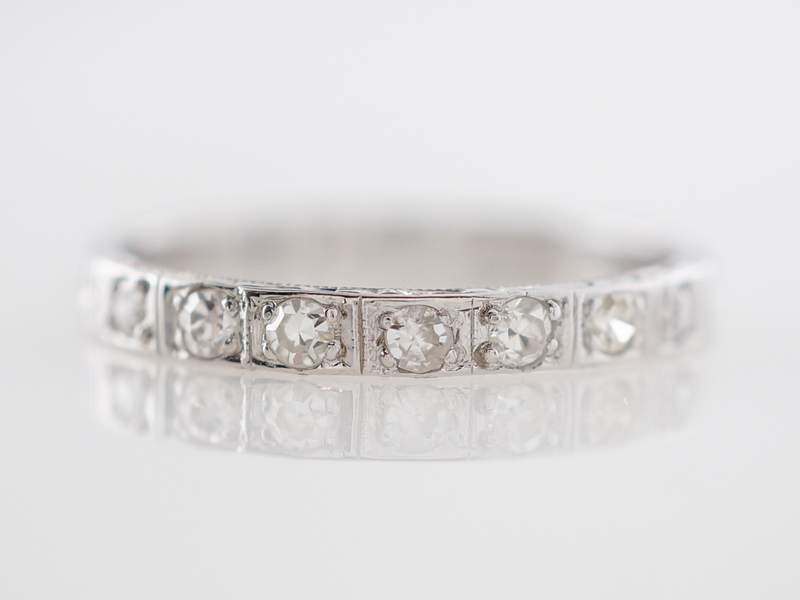 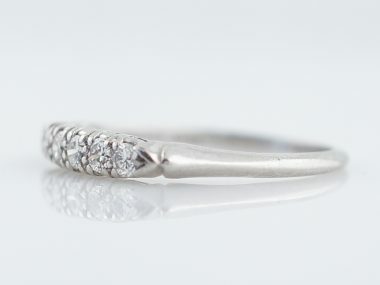 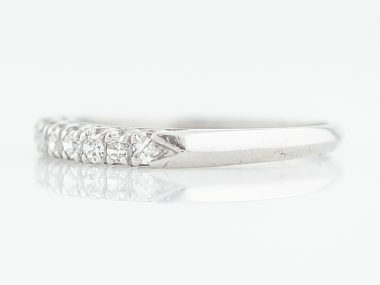 This gorgeous vintage art deco wedding band is from the 1920’s. 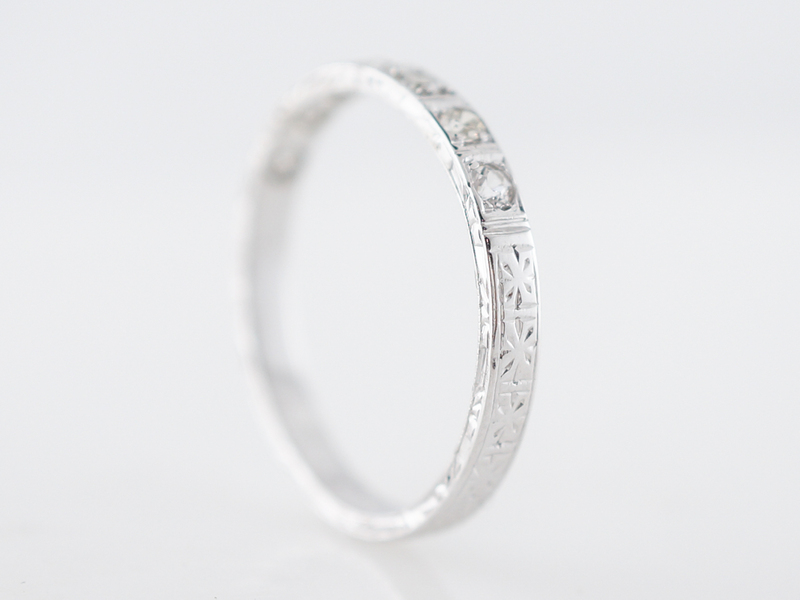 The band features .21 carats of single cut diamonds that are box set in their own individual stations. 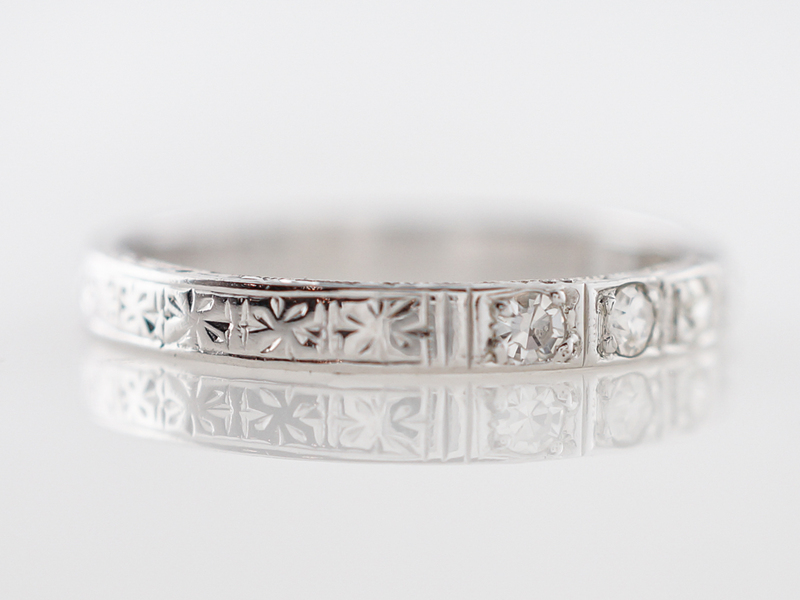 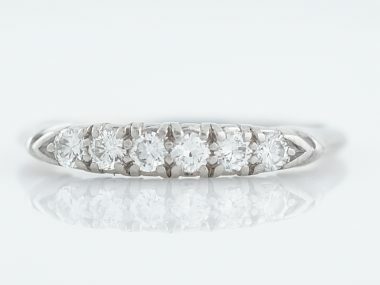 Finished in 20k white gold, this stunning band also features engraving around the bottom of the shank and the inner and outer edges.